Natalie’s is proud to announce a brand new monthly blues series! Sean Carney’s BluesFray Tuesday will be held on the first Tuesday of each month, featuring Sean as host and performer, along with a variety of national and regional blues acts. BluesFray refers to a tradition of having musicians trading licks in a friendly competition. For this first show of the series, Sean features the international award winning duo Lil’ Red & The Rooster along with vocalist Shaun Booker and Cincinnati boogie-woogie pianist Ricky Nye. The sponsor for this exciting series is The Middlefield Banking Center, with Central Ohio locations in Dublin, Westerville, and Sunbury. 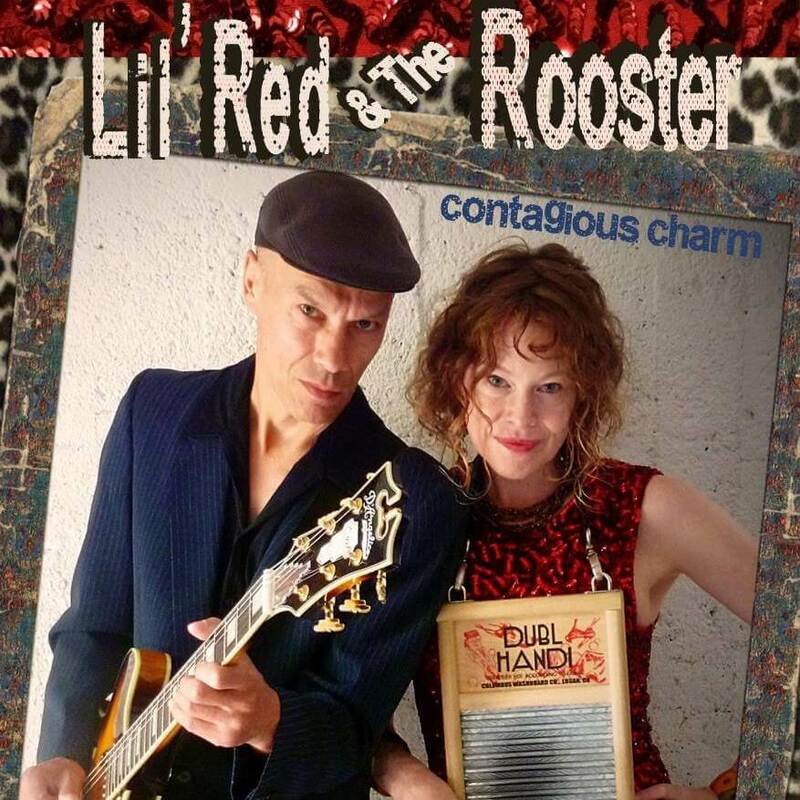 Since 2010, Lil’ Red & The Rooster (Jennifer Milligan and Pascal Fouquet) have been writing and touring together around the globe. Touching and refreshing with bite and humor, their original songs come from their love for those old jazzy blues and post-war rhythm & blues. Their recently released CD, Soul Burnin’, features internationally renowned boogie & blues pianist Ricky Nye and Columbus based international blues sensation Shaun Booker, who will join them for this special celebration. Backed by a deep in the pocket rhythm section of the Dan Sagraves on upright bass and The Governor on drums, blues with a spirit full of hope and joy may inspire you to get up and boogie! An Internationally known blues guitarist/singer, Sean Carney also founded Blues for a Cure, a foundation that raises money for cancer research, education and screening organizations across Ohio.